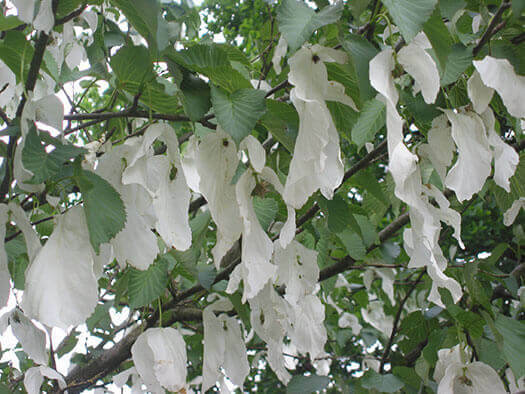 The Handkerchief tree has pendulous oval leaves that hang down during spring and summer. The large white handkerchief like flowers appear in spring. This is truly a wonderful tree and a beautiful addition to any garden. A wonder for children and adults alike, though you might need to change the name to the 'tissue tree' as many children may not know what a 'handkerchief' is!